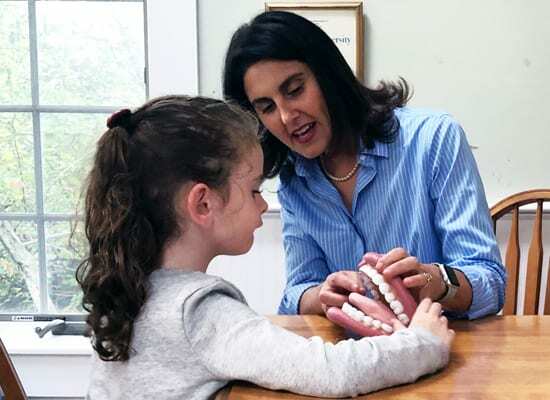 Jody Sastry Speech Therapy is a private practice for speech and language therapy on Cape Cod. Jody provides a comprehensive speech, language, and/or swallowing evaluation, along with an individualized therapy plan. Services are covered by most health insurance plans. My mission is to maximize each person's communication potential to improve confidence and success in school, work, and interpersonal relationships. Why Choose Jody Sastry Speech Therapy? My clients have the opportunity to get the services they need as soon as possible and to see the same clinician each week. You will undergo an initial evaluation. Testing will be used to determine the best course of treatment. Afterward, you will receive one-on-one therapy tailored to your specific needs. Your physician will also be provided with all the evaluation results and periodic treatment updates. Therapy with children involves age-appropriate play activities. Parents are invited to watch the treatment sessions so that they can reinforce the lessons in between therapy sessions. Homework materials will also be provided. Call or email me for more information or to set up your initial evaluation. I look forward to hearing from you! "You are amazing. We feel so blessed to have you in our lives. Many thanks."